Abide International takes a total quality approach to QC management. 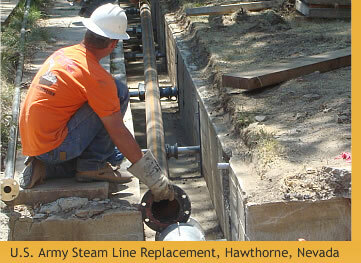 We embrace the US Army Corps of Engineers’ three-phase quality control program. All of our field personnel are Construction Quality Management (CQC) trained and certified by the Army Corps. Abide International emphasizes quality through executive oversight, management, education, training and proactive implementation at every level to ensure projects are delivered safely, on time and in accordance with technical specifications and industry standards. At Abide International, safety is our top priority. The prevention of accidents is our moral obligation and good business. Our safety efforts are based on our belief that every person is entitled to a safe place to work. The responsibility for the health and safety of our employees goes far beyond compliance with federal and state regulatory requirements. We recognize that protecting our employees, property, the public and the environment are essential to the efficient and successful completion of every construction project. Our Accident Prevention Program includes formal safety training, inspections, audits and a formalized system of reporting. We recognize that accident prevention is a line management responsibility. That responsibility is shared at every level of our organization, from the president to our craft work force. We train our managers, supervisors and employees to identify and correct unsafe conditions and, more importantly, unsafe work practices. Abide International knows that accident prevention efforts must have the same value as quality, morale, cost, schedule and production. Safety is more than a part of quality work. It's how we work.